When you hear first focal plane riflescope, locking turrets, crisp turrets, advanced fully multicoated options built from a one piece tube made from aircraft-grade 6061-T6 aluminum you expect to come with a high price tag. This is exactly why we introduced the Helos BTR family. Feature rich but won't break the bank. 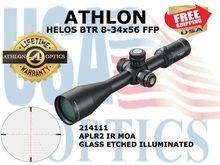 ➢ First Focal Plane Reticle - First focal plane design allows you to fully utilize specially designed reticles that shrink or grow along with your target as you zoom in or out. 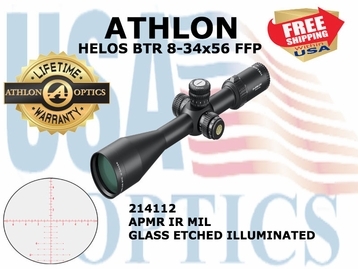 These reticles offer quick target engagement at low power while offering precise holdover positions with finer details. ➢ Locking Turrets - Locking feature on both elevation and windage turrets allows you to simply pull up the turrets to dial and push down the turrets to lock them in place. This feature gives you a peace of mind whether you are moving from one station to the next during your competition or putting them away for your next hunting trip. ➢ Illuminated Reticle - The illuminated reticle provides greater visibility during dusk and dawn and other low ambient light environments. ➢ Fully Multicoated - Fully Multicoated optics effectively reduces reflected light and increases the transmission of light giving you a brighter image than normal single coated lenses. 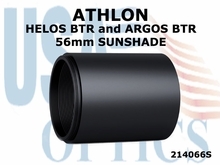 ➢ 6061 T6 Aluminum - The 6061 T6 aircraft grade aluminum tube that has exceptional strength and superior mechanical integrity will protect these world class optics no matter what punishment you throw at it. ➢ Waterproof - Waterproof to protect the scope in the harshest weather conditions or if accidentally submerged underwater. ➢ Shockproof - Robust mechanical system with special designs on both control and erector system that give you the ultimate recoil resistance to withstand 1000G recoil for 1000 times. ➢ Argon Purged - Argon Purging uses the inertia gas with bigger size molecules to purge any moisture out of the tube giving you better waterproofing and thermal stability.